Dermal fillers are commonly used in plastic surgery and cosmetic medicine – due to Australian law we will refer to them on this website simply as fillers but commercially they are often known by their product names. Fillers are all different types of a synthetic product containing normal constituents of skin. The most common type of filler is based on hyaluronic acid which is naturally occurring in the skin. Chin – to improve nose and chin relationship, improve facial jowls, and improve the facial profile. Nose to produce a ‘liquid rhinoplasty’. For all the above reasons, in cosmetic plastic surgery, fillers are a great adjunct for facial rejuvenation. They can be used alone but often in concert with anti-wrinkle injections, skin care and facial treatments can produce a dramatic improvement in facial appearance without surgery. We also often employ them with surgery to enhance and further improve results achieved from face and neck lifts. The Skill in Filler Injections: Why Come to a Plastic Surgery Practice? The skill in administering filler injections for facial rejuvenation is based on a precise understanding of the underlying anatomy. In a plastic surgery practice the surgeon him/herself may perform the filler injections or they may be performed by experienced practice nurses working in the practice. Nurses working with a plastic surgeon have received direct training from both the surgeon as well as industry leaders to allow them with the skill, knowledge and experience that allows a surgeon to trust them with their patient and reputation. In some cases the filler is placed more superficially (however if placed too close to the skin, the filler can produce a bluish appearance to the region known as the Tyndall effect), and in other areas it is placed close to the bone. The former is usually done to improve tone, lines and wrinkles while the latter is usually performed for structural lifting. In either case a thorough knowledge of anatomy is needed to avoid critical blood vessels, as almost any blood vessel of the face, if injected under pressure, can cause the catastrophic complication of blindness, or skin necrosis. Furthermore the art of filler injection is in subtlety. We firmly believe in the ‘less is more’ approach as excessive filler material can create unwanted appearances as these can look ‘done’ and unnatural. In a plastic surgery practice, we will only suggest filler treatment if it’s the right thing for you – for instance if your wrinkles or facial appearance are the result of loose skin, you may require a different treatment or surgical procedure, in which case spending time and money on filler injections may not be worthwhile. How are filler injections performed? An initial consultation with Dr Aggarwal is required to determine if you have any contraindications to the treatment (where it may not be safe for you to have filler injections), and to determine the location and total volume of the injections. Most injections are performed by our practice nurse, however you may choose to have Dr Aggarwal perform the injections for you. Most injections are performed the same day except in patients who are taking blood thinning medications, or other over the counter agents that thin the blood. The injections are performed in our procedure room, at our main Gordon practice. Ice is placed over the area to be treated for 10 minutes or so, occasionally some numbing cream is also applied if patients are concerned. The nurse then gently injects the agreed upon area using an needle or cannula. 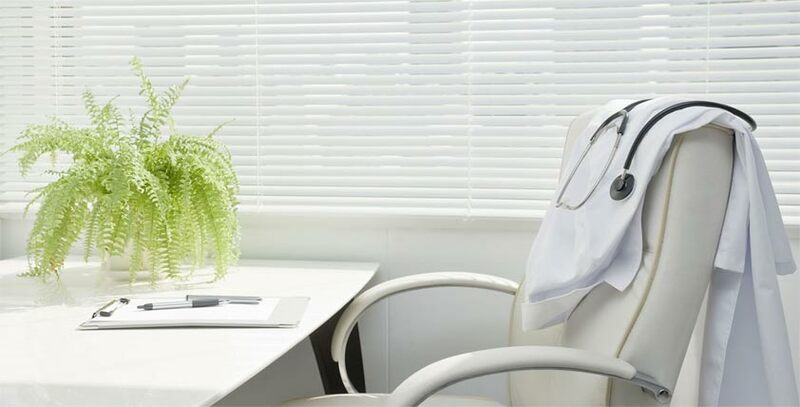 After treatment, you may be monitored in the office for side effects, after which you can return to work. Some bruising and discomfort may occur during injection, and you are best to apply an ice pack to the area to reduce this post-treatment. The initial consultation and injections take approximately 1 hour. Effects begin immediately. There may be some bruising and swelling which will subside over the following week (it may worsen in the first 2- 2 days); and therefore it can take a week or so to determine final outcome from the filler injection. In general we will ask patients to return at the 2 week mark, to review the effects. What is the cost of filler injections? Please visit our price list for further information. Initial consultation is $220 plus product cost (for the average patient it is $990). Subsequent top up consultations are not charged if we are injecting the same areas as your initial consultation – you are only charged the product cost. In general injections by Dr Aggarwal will attract a higher fee. I am concerned that a plastic surgery clinic costs more for my filler injections. the injections are being performed by the plastic surgeon or by experienced plastic surgery nurses. You are paying for the skill and expertise of the injector and in general you get what you pay for. We will only ever use products from the largest manufacturers of fillers. This is generally Galderma, or Allergan, or Merz. We do not source cheap filler material, or permanent fillers. These reputable filler products are expensive, because they have proven track record with respect to safety. Legally a doctor must be present on site for the injections. This is often not the case in cheaper clinics or cosmetic surgeries. We use appropriate preparation with ice packs or anaesthetic cream reducing your discomfort. We have knowledge of underlying facial anatomy and therefore argue less risk of inadvertent injection of a critical blood vessel. There has been one case of blindness due to fillers in Sydney (not in a plastic surgery clinic). If a critical event was to occur, we have hyalase on site, to dissolve filler material. This can make the difference between a safe and catastrophic outcome. Again, cheaper sites may not stock this at all as hyalase is very expensive. We would encourage you to seek injectables only where they are performed safely, and by an expert practitioner. Patients taking over the counter supplements than thin the blood such as Fish Oil, Gingko, Ginseng, Turmeric, and Aspirin or Nurofen based medicines. Infection – the skin is prepped before injection, however there is a small risk of infection. Insufficient effect – the desired result is less than what you desired. This may require additional volumes of filler material as not all areas can be treated with a single syringe of filler. Asymmetry – filler can improve or accentuate asymmetries. Furthermore it can create an asymmetry not present prior to injection. Over-injection – can create an appearance that looks unnatural, or ‘done’. Remember that initial bruising or swelling can add to this appearance and the end result will not be known until the swelling has subsided. The most significant complication is blindness (till date this has occurred in 1 patient in a Sydney clinic from injection of a filler material) or skin necrosis (such as that near the nostrils or nasal tip). Critical problems, if they occur with hyaluronic acid filler, can be dissolved with hyalase. 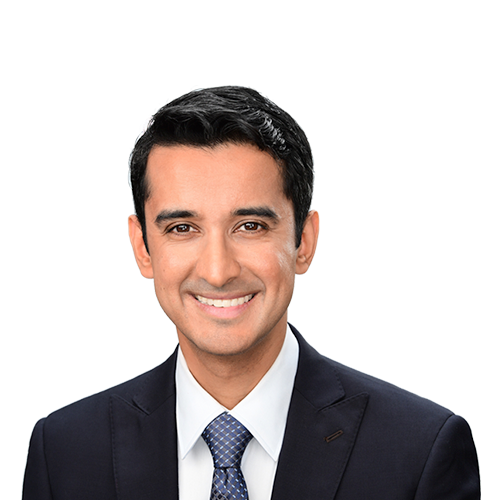 Dr Aggarwal is a well regarded, respected, highly skilled and experienced Specialist Plastic Surgeon. Graduating at the top of his class throughout his training, Dr Aggarwal has completed fellowship training at some of the world’s most prestigious reconstructive and cosmetic plastic surgery institutions. He continues to publish research is prestigious plastic surgery journals, and is actively involved in the training of future plastic surgeons. What sets Dr Aggarwal apart from others is his personal, affable and warm nature. Not only does he pay attention to detail, to producing natural, beautiful results but he ensures that the patient’s journey is just as special as their outcome. Dr Aggarwal looks after patients at two of Sydney’s most prestigious public hospital campuses (RPA and POWH/RHW), and operates privately on the North Shore. Highly skilled Fellowship Trained Plastic surgeon – know you are in the safest of hands with a Plastic Surgeon who is experienced, highly respected, and appointed at premier Sydney hospitals- including the SAN, RPA, POWH and RHW. We provide written quotes, so there are no surprises. We make you our top priority. Need to ask a question, worried about dressings or something else post op? We will always be at your beck and call. Our patients love us! Feel free to read our reviews online on independent websites, or you can speak to some of our existing patients who will gladly speak about their plastic surgery journey. We pride our practice in personalised, professional and ethical care. Your safety and satisfaction is our utmost priority – we only provide sedation or general anaesthesia in accredited facilities and after your procedure you will have direct access to Dr Aggarwal and his staff to answer any questions or concerns. At your first consultation, Dr Aggarwal will explain a personalised treatment option for your desired results. A comprehensive medical history and examination is followed by discussion of surgery, examination of before and after photographs and trial of implants in the case of breast augmentation. Remember to bring a referral for your consultation, to claim the Medicare Rebate. We will always be upfront about all costs of surgery including surgical, anaesthetic and hospital fees. Our quotes are valid for 12 months so there is no pressure to decide quickly. To help achieve your goals, we will tailor treatment options to what you actually need. We will never recommend surgical or non surgical treatment if its not going to achieve what you want. We aim to deliver beautiful, natural results. LED Light facial – Part 2. Referring Doctor? Please fill out a Mode Patient Form.